I’ve had days that I didn’t want The Crumb Diaries page anymore. I have even unpublished the page. I have struggled with the question- am I sharing too much? I am virtually letting over 3,000 people into my living room, to sit at my kitchen table, into my hopes, dreams, memories. I’ve shared so much of our lives with so many of you. I decided from the start that I’d be honest with the good and the bad. Some days I question why I do everything that I do, in the way I parent Logan.. Putting my world out there is not always easy. I’ve been criticized for things I’ve posted, more than once. I’m fortunate to have amazing page admins for friends if I need advice, and its kept me on track, but I still do question myself and my motives. Do I need the support of 3,000 people? 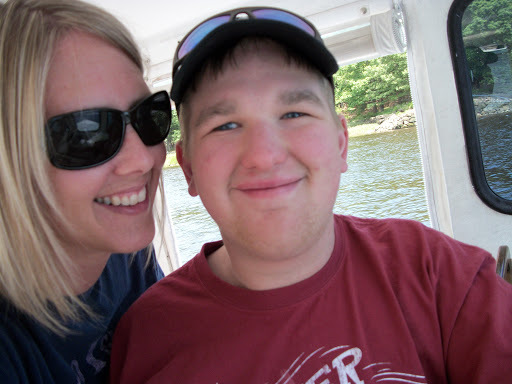 Do I want to let people see what a day in the life of a special needs family is like? Do I want to give other special needs families with young kids hope for a fun and bright future? The honest truth is yes, yes to all of these things, but there is a far, far bigger reason I maintain the page and continue to share. The biggest reason is- I refuse to allow Logan’s struggles to be in vain. He has to work so hard at every single thing he does, and I will not accept that its for nothing. To watch someone make such a huge effort just to ask a simple question, and then grin with a sweetness in his eye is just heartbreaking but heart lifting at the exact same time. It can’t be for nothing. My purpose is to share and give hope to soooo many families out there with young children newly diagnosed, searching for a path, wondering about a future. I am his means of communication, his platform. Through me, he reaches all of you. I get some extremely nice messages telling me how he has touched people’s lives. He has either changed their view on special needs folks, or he has given them hope for their own special needs child. When Logan was young and his struggles were becoming clear, I searched for that hope. I am so honored that you take the time to read what I write, and I can share that hope with you. I am so honored that I have been given this hope, who I call my son. I am new to this site, but I love it. I haven’t had any challenges like this in my life, but it is endearing to me to read about Logan. I particularly love the Logan and Al conversations. I found this site because it was suggested to me by the mother of a very challenged child. She like you prefers to view the glass as half full. You give hope to those who might have recently found that their newborn has some challenges ahead or to people who already have children with challenges. Please continue your page and your blogs. For those of us who think this doesn’t pertain to us, we don’t know what the future holds. If we are at some time faced and blessed by having a challenged child in our lives we will have a huge head start on making that child’s life as good and as much as it can be. If challenged isn’t the appropriate term, my apologies.